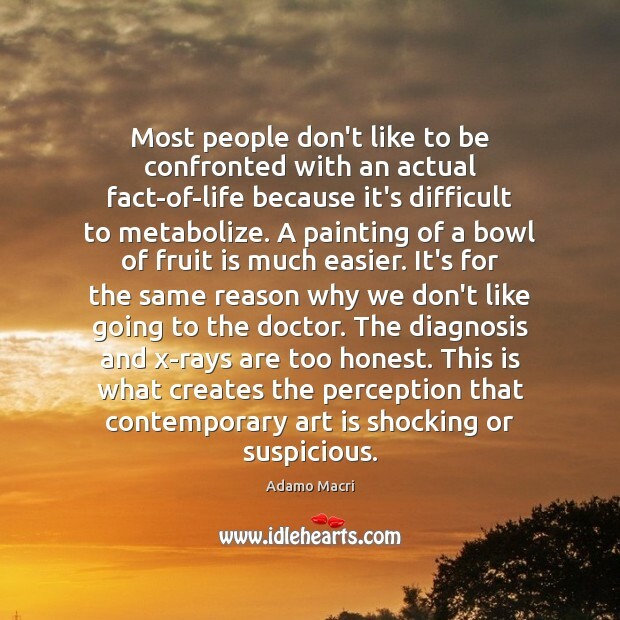 Enjoy the best inspirational, motivational, positive, funny and famous quotes by Adamo Macri. Use words and picture quotations to push forward and inspire you keep going in life! 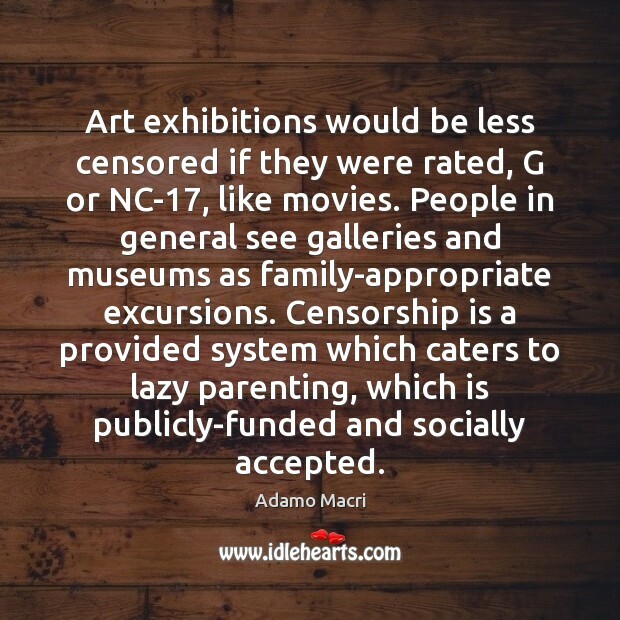 Art exhibitions would be less censored if they were rated, G or NC-17, like movies. People in general see galleries and museums as family-appropriate excursions. Censorship is a provided system which caters to lazy parenting, which is publicly-funded and socially accepted. 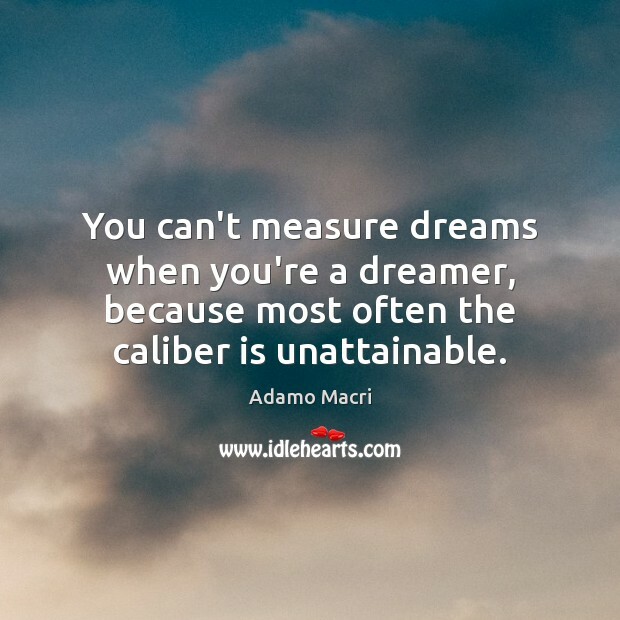 You can't measure dreams when you're a dreamer, because most often the caliber is unattainable. Most people don't like to be confronted with an actual fact-of-life because it's difficult to metabolize. A painting of a bowl of fruit is much easier. It's for the same reason why we don't like going to the doctor. The diagnosis and x-rays are too honest. This is what creates the perception that contemporary art is shocking or suspicious. 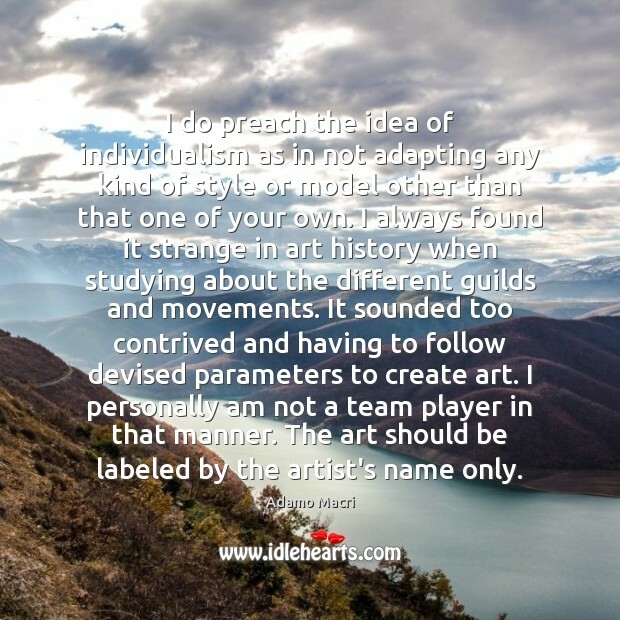 I do preach the idea of individualism as in not adapting any kind of style or model other than that one of your own. I always found it strange in art history when studying about the different guilds and movements. It sounded too contrived and having to follow devised parameters to create art. I personally am not a team player in that manner. The art should be labeled by the artist's name only. I regard texture similar to the function of taste buds in our mouths. But in a visual form. 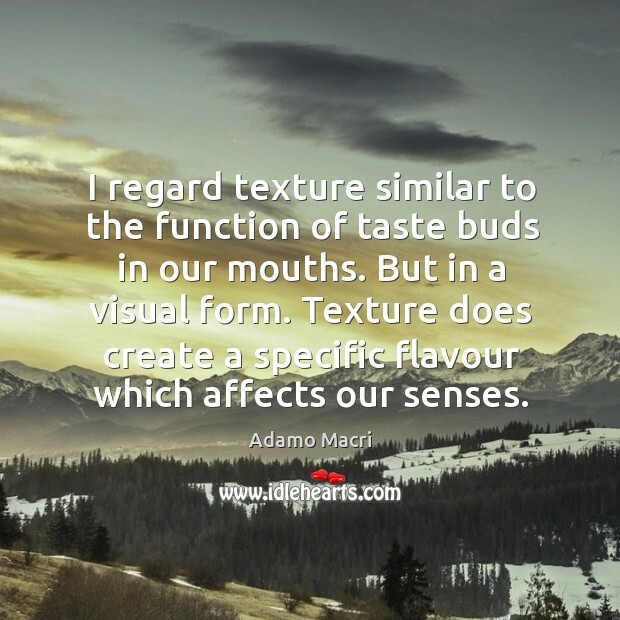 Texture does create a specific flavour which affects our senses.